For misfit Libby Archer, social expectations for young women in Rochester, New York, in the mid-1950s don't work. Her father has died, leaving her without parents, and her well-meaning friends are pressuring her to do what any sensible single girl must do: marry a passionate, persistent hometown suitor with a promising future. Yet Libby boldly defies conventional wisdom and plans to delay marriage - to anyone - by departing for her uncle's Belfast estate. In Ireland, Libby seeks not only the comfort of family but also greater opportunities than seem possible during the stifling McCarthy era at home. 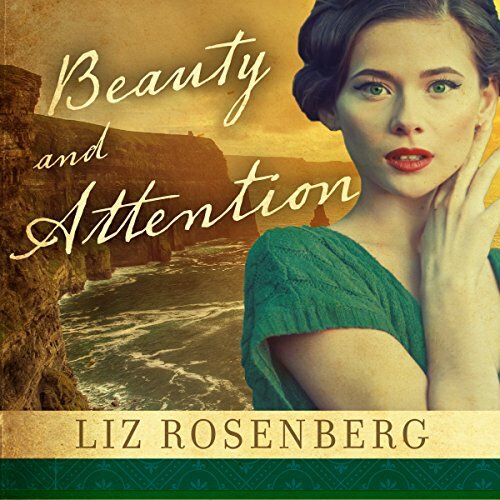 Across the Atlantic, Libby finds common ground with her brilliant, invalid cousin, Lazarus, then puts her trust in a sophisticated older woman who seems to be everything she hopes to become. Fraught with betrayal and long-kept secrets, as well as sudden wealth and unexpected love, Libby's journey toward independence takes turns she never could have predicted - and calls on courage and strength she never knew she had. ©2016 Liz Rosenberg (P)2016 Brilliance Audio, all rights reserved. I kept hoping it would get better but it just didn’t. It skipped around and then in the end just left the reader hanging.